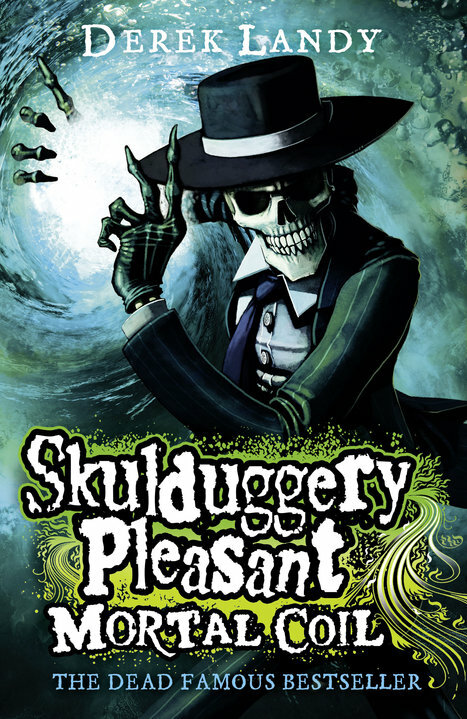 Following the shocking revelations of DARK DAYS, get ready for the fifth instalment of the bestselling Skulduggery Pleasant series — guaranteed to contain at least 40% humour, 50% action, and 100% thrills! Skulduggery Pleasant and Valkyrie Cain are back — just in time to see their whole world get turned upside down! While they struggle to protect a known killer from an unstoppable assassin, Valkyrie is on a secret mission of her own. This quest, to prevent her dark and murderous destiny, threatens to take her to the brink of death and beyond. And then the body-snatching Remnants get loose, thousands of twisted souls who possess the living like puppets, and they begin their search for a being powerful enough to lead them. Facing such insurmountable odds, Skulduggery, Valkyrie, Ghastly and Tanith can trust no one. Not even each other! Not even halfway through this series and it is already going very very badly for everyone. How will it end? It took me almost a month and a half to finish this. Perhaps I wasn’t in a reading mode this summer, or I actually might have gotten a little tired of it. I enjoyed it and I smiled widely at some remarks but I found it hard to concentrate. Was it too much action? Too much going on all the time? I generally feel that fighting scenes in books are hard for me to follow. And there were a lot of them in this fifth book in Skulduggery Pleasant series. I will take a break now from it because another book was just released and other books that I’ve been meaning to read for a while. But, Landy is so good at writing cliffhangers. It’s insane. The last one, in the fourth book, was intense and very surprising. And so was this, not as strong though. Many people died and one thing that bothered me was that it was so casual. As a reader, I barely even noticed that they died. Some books have made me cry out in the open while reading about someone who almost died. But this, with characters I liked, nada. Neither did the characters left alive feel anything. It felt unreal. Something Landy is really good at, is connecting everything. I didn’t really look for plot holes, but it is very obvious that he has put in a lot of thought into everything. Everything written has a meaning and that is very enjoyable. There most likely are some plot holes, but they are hidden and not very noticable. I will take a short break in this series and read a couple or three other books. I hope I will have something more constructive to write about #6 when I haven’t almost straight-read all previous ones. It gets a four out of five. This entry was posted in Book Reviews and tagged 4 out of 5, Derek Landy, fantasy, HarperCollins, Skulduggery Pleasant by Alexandra. Bookmark the permalink.